When you need to respond to an email and to ratifythe message you received, you need to make a confirmation emailfor this. 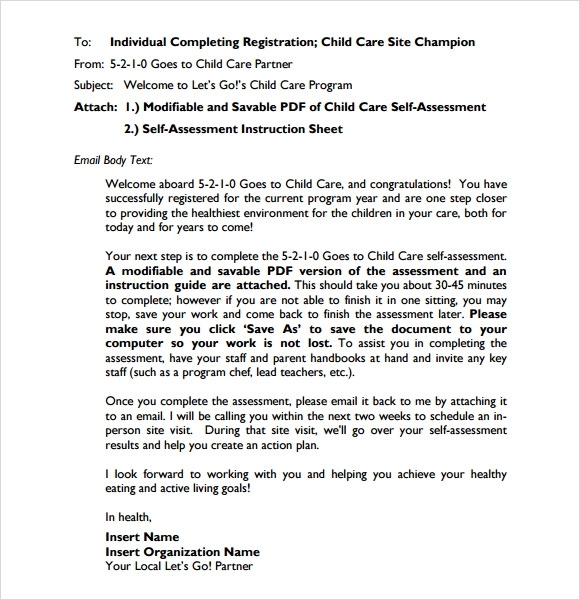 The online letter scheme that makes every message you received to send a respond in an instant like a template to the senderto notify that you receive the email and comprehended the messages into it.The example template can be downloaded to get the sample format you can use to base the validation note you will reply for every new message you will receive. Confirmation emailcan make very conversation be smooth for the sender to know that the message is received.You can also see Sample Thank You Emails. 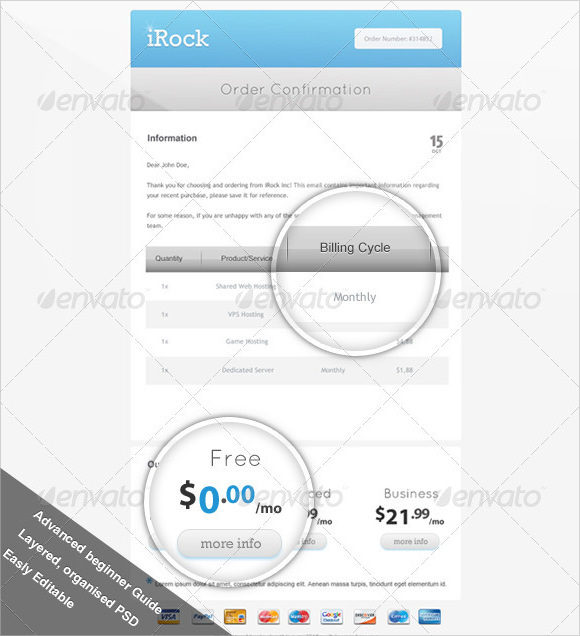 This type of email template is used for basically e-commerce invoices. It includes all the description and details that are needed to make clients understand what the unique features that is included in the template. 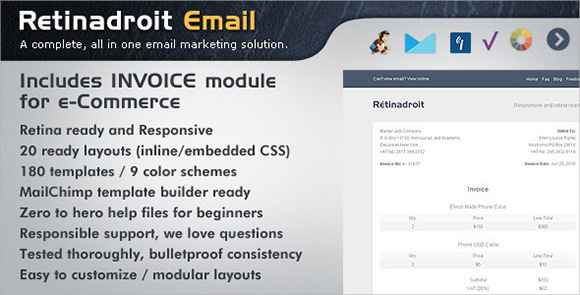 It also includes retina ready template description, 180 templates, mail champ template that is also included in this response e-mail. This also ensures that it can be further be modified with this template as well. 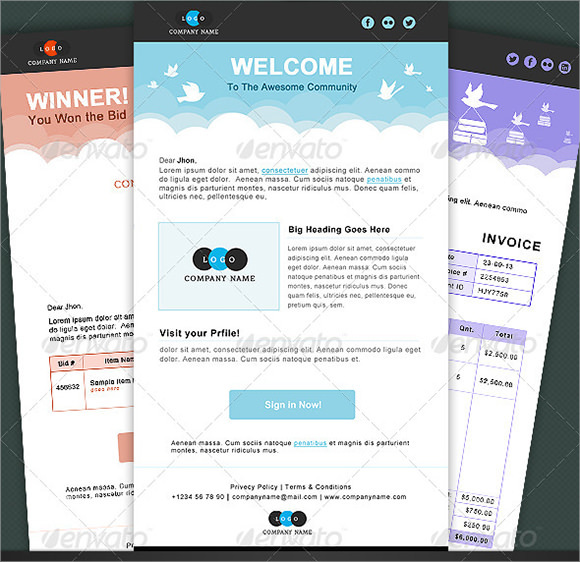 This set includes various types of separate templates that include welcome email template, bill accepted mail template, bill winner mail template, add posted mail template, unsubcription newsletter mail template etc. It ensures that it can be further modified as per the particular requirements of the clients. Apart from previous two types of designer template this template is very simple in design and its simple format ensures that all the details are noted in a simple organized manner. It ensures that if anyone orders something from your online store, then this is used as response e-mail for delivering feedback and other important messages with a single mouse click. Such templates are extremely useful when the user owns an e-commerce business portal. Why Do We Need Confirmation Email Templates? In today’s daily schedule we often receive various types of email. Some are urgent and important and some needs very urgent reply as well. But due to our busy schedule, we often miss to answer them in a proper way. Or when we sit to check these types of e-mail, the particular time is over. The main reason behind this is the time is taken to reply these types of email are very limited. 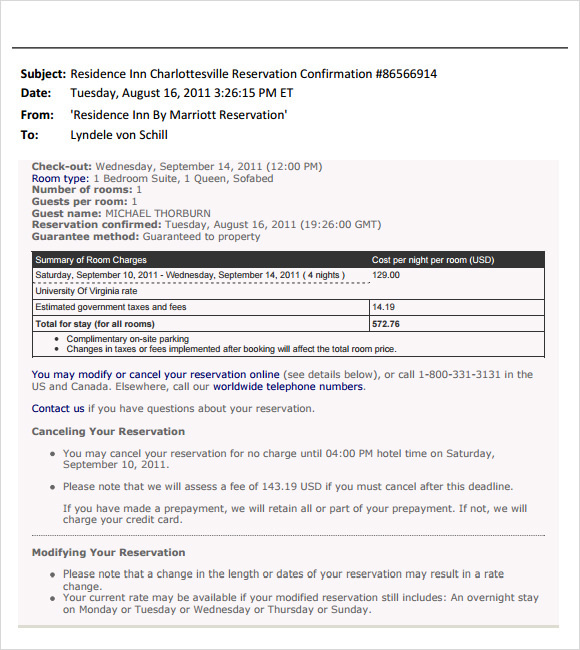 That’s a reason, why these types of confirmation email template are designed. This ensures that, sender of the mail will get instant reply of the particular mail with no time. 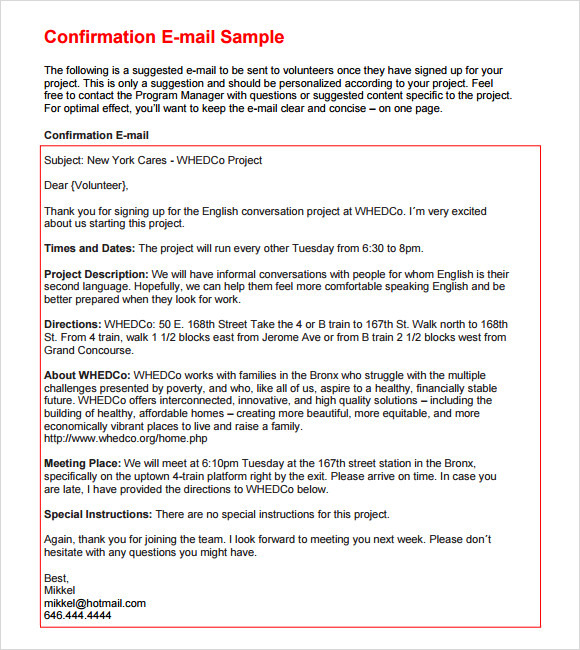 When Do We Need Confirmation Email Templates? We need this type of template when basically dealing with a very busy schedule. Generally, often we forget to reply all our business mail or personal mail at right time. 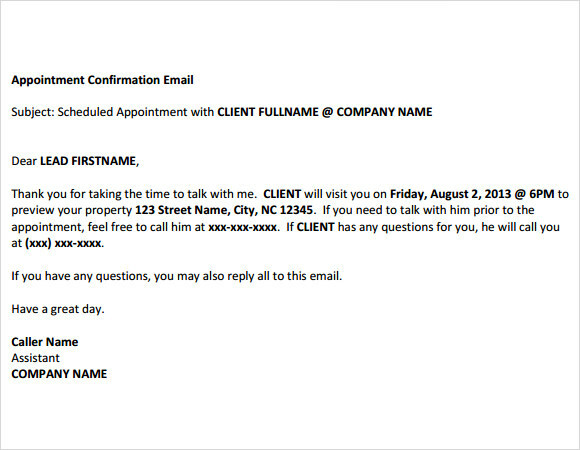 That’s the reason why this type of confirmation e-mail template is used. Might be as the subject is concerned, it needs some time to answer them. But if the sender receives an instant reply that you will get back after one or two hours then the sender will be on the safe side as well. This type of email also ensures that you can modify the messages as well. As a result, if you are out of station, then that can also be notified with your response e-mail as well. There is no specific guideline for using this type of templates. It completely depends on you like how you want to answer your e-mail. User can set their own messages with their pre designed templates and also include their signature, contact number, preferred time for calling them as well. 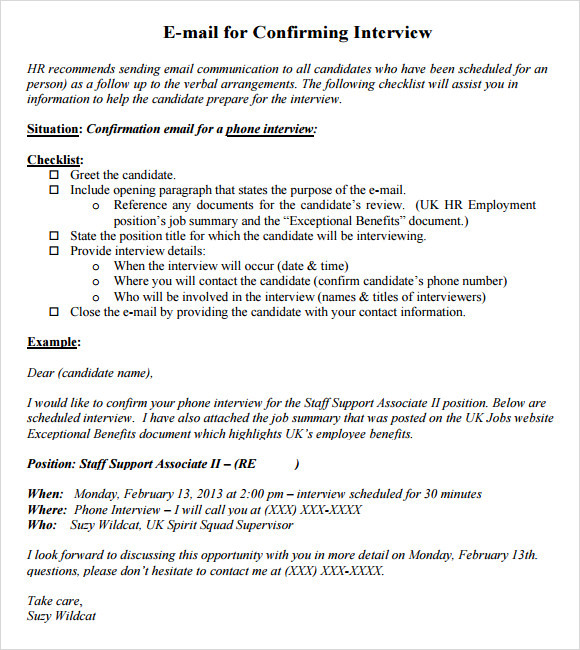 Confirmation e-mail template is very commonly used template. Now a days, we are basically blind, if we are working professionals are seldom forget to reply all the mails at right time. That’s the reason; so many email templates are designed to choose the right one and ensure that it can be modified further to get the preferred result.You can also see Sample Remainder Emails.